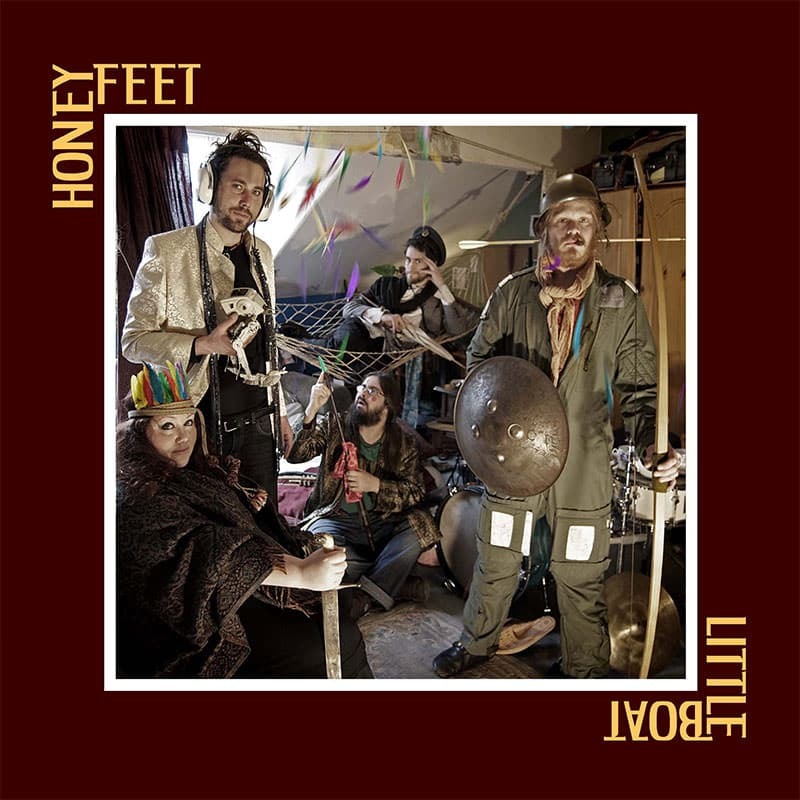 After two years on Debt Records, we are overjoyed to announce that Honeyfeet are soon to release their long-awaited debut record, “Little Boat”. This five-track EP was originally self-released by the group in 2010 as a limited edition hand-pressed befeathered CD entitled “Scumbags”. Now it has been remastered, pressed and packaged with artwork by Hannah Miller (from Moulettes) and photography by Elle Brotherhood. The release features live favourites “Quickball”, “Never Been Free” and “Little Boat”, plus two obscure numbers sung by their gravel-toned former bassist Sam Buckley (now full-time chaos jackal with Liz Green). The record is available to stream in its entirety on Bandcamp and will be released officially in all the usual outlets on 2nd July, 2012.